I have been on a quest to find a new yummy cookie recipe and I’m happy to say I think I’ve hit the jackpot. A co-worker forwarded this recipe to me (thanks Mahreen!) 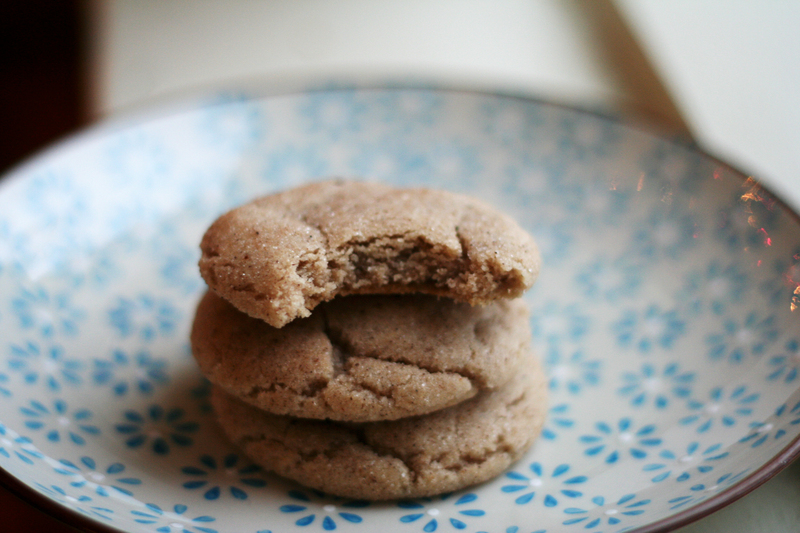 and besides being easy to make I’d say these are even tastier than a chai latte. 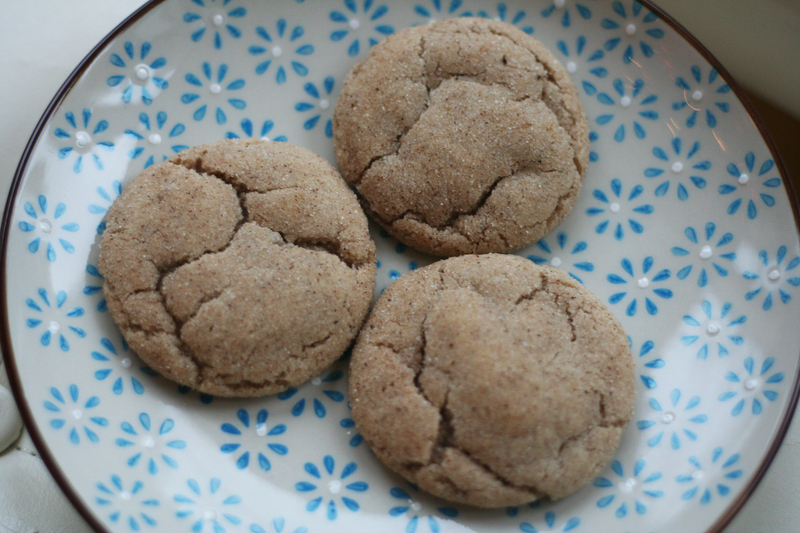 These cookies come out of the oven soft in the middle, lightly chewy on the edges and the sugar-spice mixture pretty much tastes like freaking Christmas. I’ve already given the whole first batch away so time to get crackin’ on the next round. Definitely give these a try this season! First, preheat the oven to 350 degrees and line a baking sheet with parchment paper. Then in a large bowl sift together the flour, baking soda, baking powder and salt. Honestly I never sift anything (hence why I don’t claim to be a proper baker) so sift or don’t sift, you’ll still get good cookies. 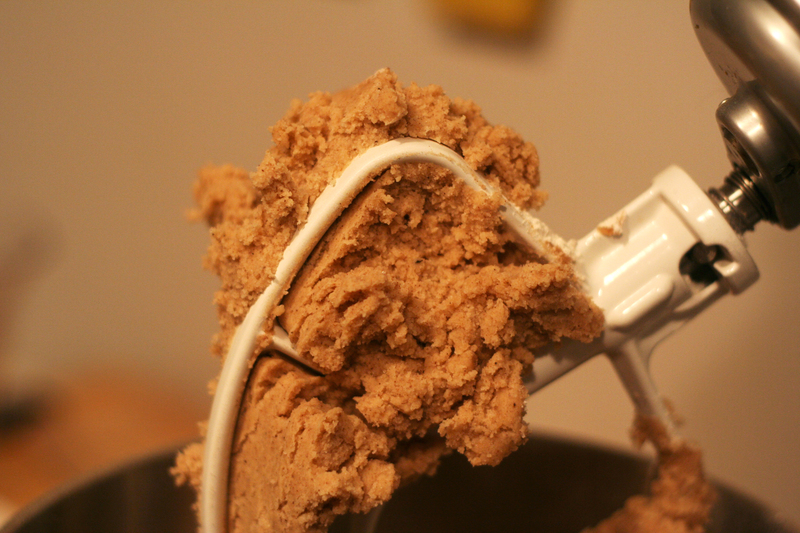 Set the flour mixture aside. And now to the yummy part! 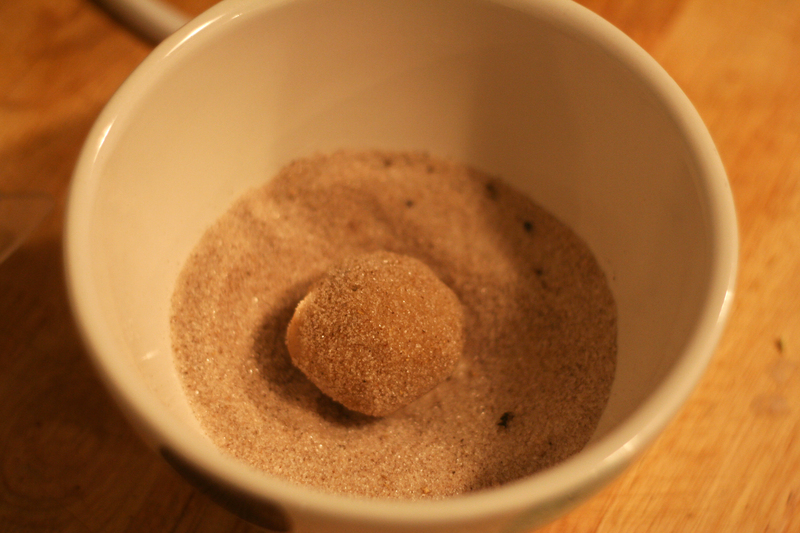 In a medium bowl combine sugar, cinnamon, ginger, cardamom, allspice and black pepper. 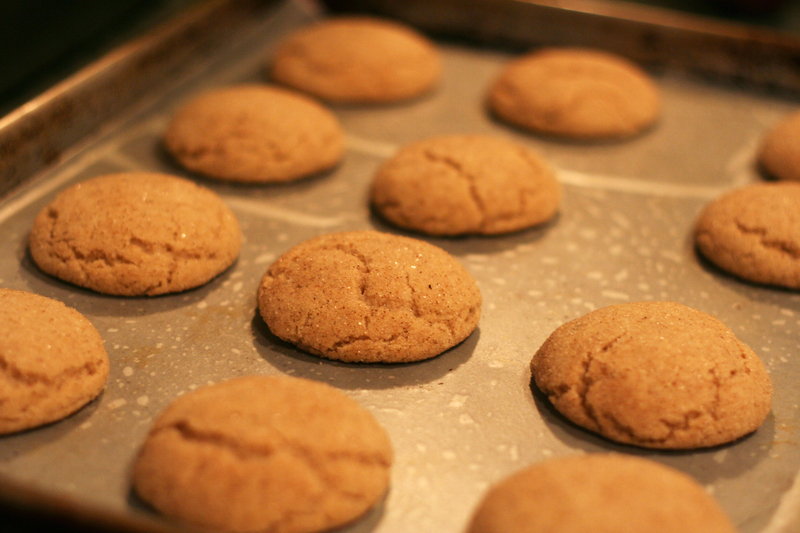 Remove 1/4 cup of the sugar-spice mixture and set aside to reserve for rolling the cookies – really, do this now – don’t forget! 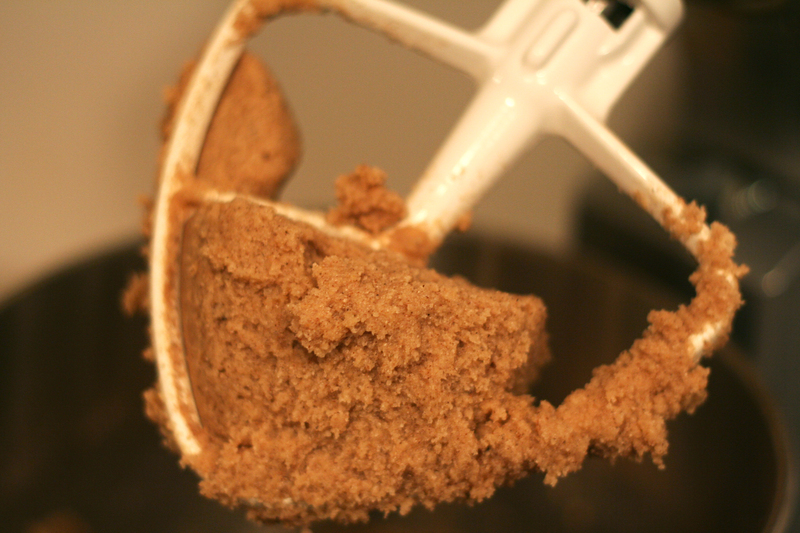 Next, beat the butter and sugar spice mixture until light and fluffy – 3 minutes. Beat in the egg and vanilla extract and combine until fully incorporated. 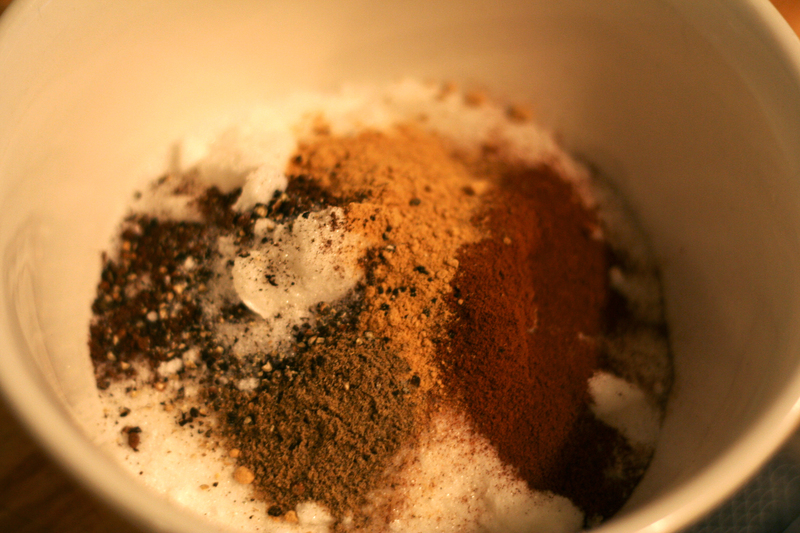 Next, slowly blend in dry ingredients mixing until just combined. 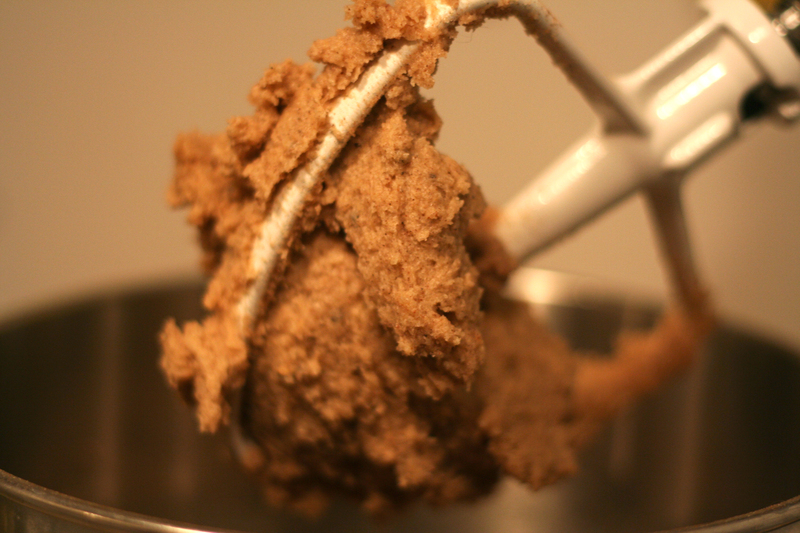 Scoop about 2 teaspoons of dough out per cookie and roll into a ball. 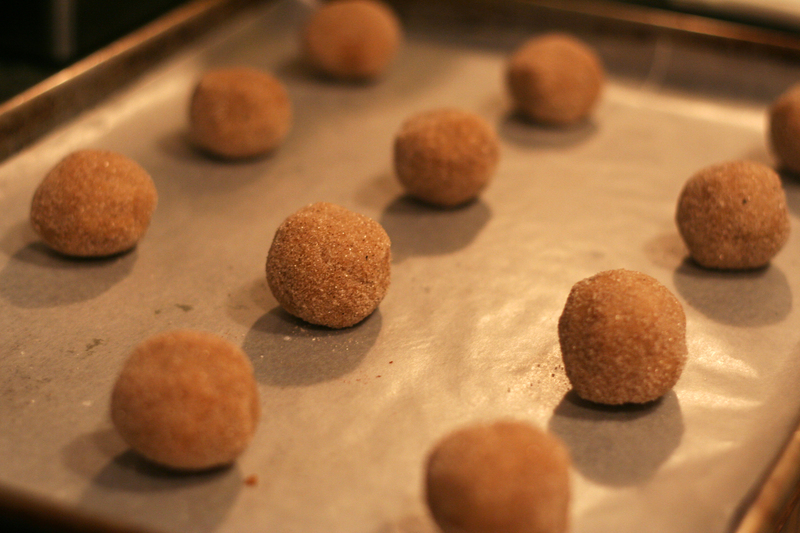 Place the dough ball into the reserved sugar-spice mixture and coat well. Place dough balls on prepared baking sheet about 1 1/2 inches apart. Bake in preheated oven for about 8 to 10 minutes (in my oven it was a solid 10). Once out of the oven let stand on baking sheet for two minutes. Move cookies to cool on wire racks. That’s it! 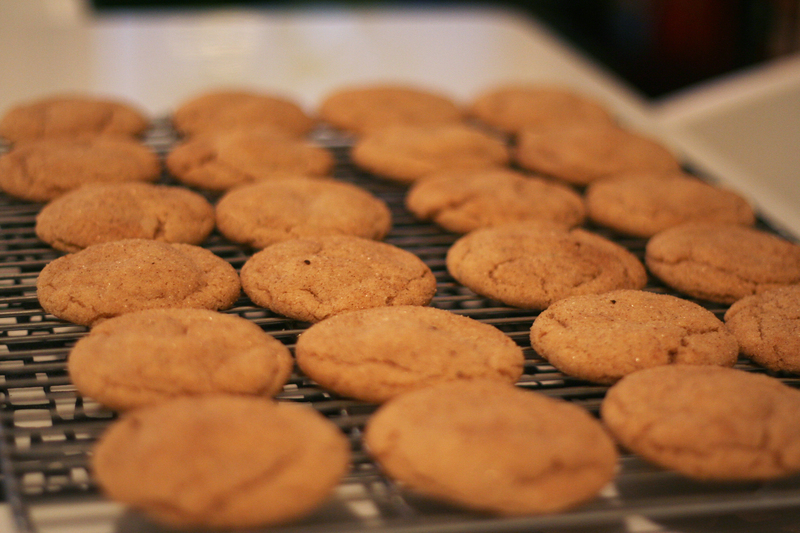 Now you’ve got some damn good cookies on your hands. I got this here fabulous recipe from the blog My Baking Addiction, and I’ll definitely be making these again.